Turn heads with the latest SEA-DOO® SEASCOOTER™ AQUA RANGER, tweaked speed and performance that will get you propelling through the water in style whilst scuba or snorkeling. The SEA-DOO® SEASCOOTER™ AQUA RANGER is the entry level seascooter that you’ll be taking into the water at any occasion. 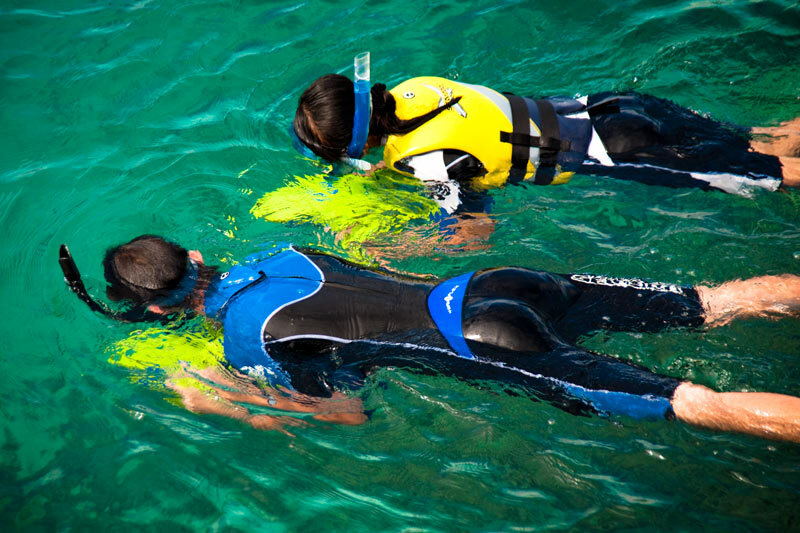 Its increased depth rating up to 30ft / 10m makes it your ideal snorkelling buddy and will get you chasing fish at a cruising speed of up to 2.5mph / 4km/h. 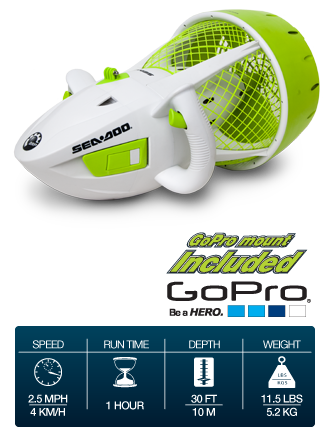 With safety features including auto shut-off, dual-trigger control, caged propeller casing and positive buoyancy. Safety features including safety grille, positive buoyancy, auto shut-off, and dual trigger operation.